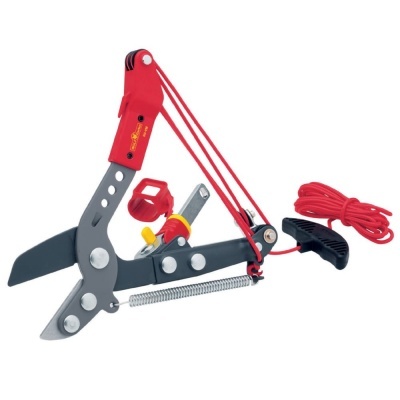 Wolf-Garten Adjustable Anvil Tree Lopper Tool Head from the popular Multi-Change® inter-locking tool system, is specifically designed for connecting to long length Multi-Change® lightweight tool handles. Wolf Adjustable Anvil Tree Lopper attachment is designed for cutting branches up to 40mm in diameter. Designed with an anvil action blade and a 180 degree adjustable working angle. 4:1 fold pulley system ensures less effort and easier pruning when working at heights, utilising precision-ground, non-stick blades. Wolf tools represent high quality engineering and supplied with a 10 year guarantee.